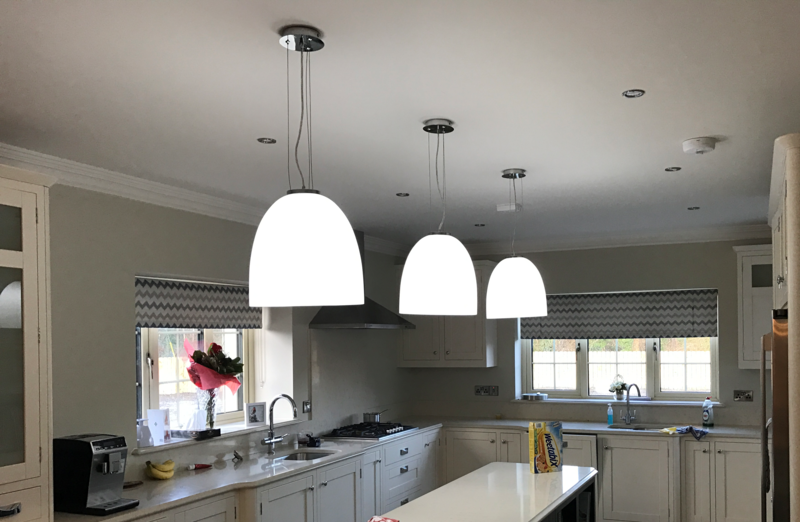 The customer; husband and wife, came to us from Co. Leitrim for lighting options for their home improvements and a commercial project. They needed new light fittings for their home and also the B&B they run. The customers brought in tiles and other samples of their interiors and plan to show us their vision. Ronald Porter, one of our sales representatives helped them pick out the best lighting options for their home and the B&B. The customers were delighted with the result.